Item # 316096 Stash Points: 1,999 (?) This is the number of points you get in The Zumiez Stash for purchasing this item. Stash points are redeemable for exclusive rewards only available to Zumiez Stash members. To redeem your points check out the rewards catalog on thestash.zumiez.com. 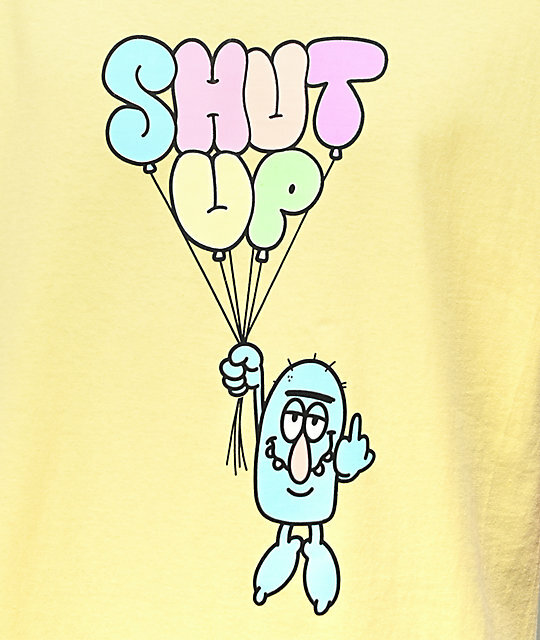 Let the world know you're not in the mood for talking, with the A-Lab Ess Tee Eff You Yellow T-Shirt. 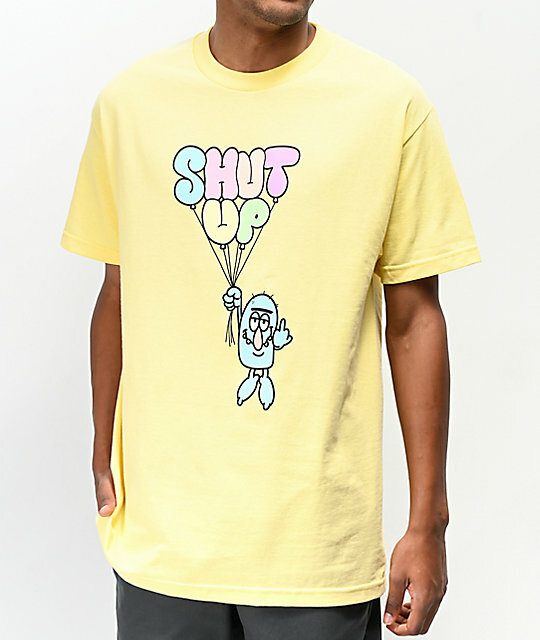 Bright yellow in construction this t-shirt comes with the screen-printed image of a little monster flipping the bird while floating away on balloons that spell out "shut up" for a funny and original look. Ess Tee Eff You Yellow T-Shirt from A-Lab. Screen-printed balloon text graphic at the center chest.